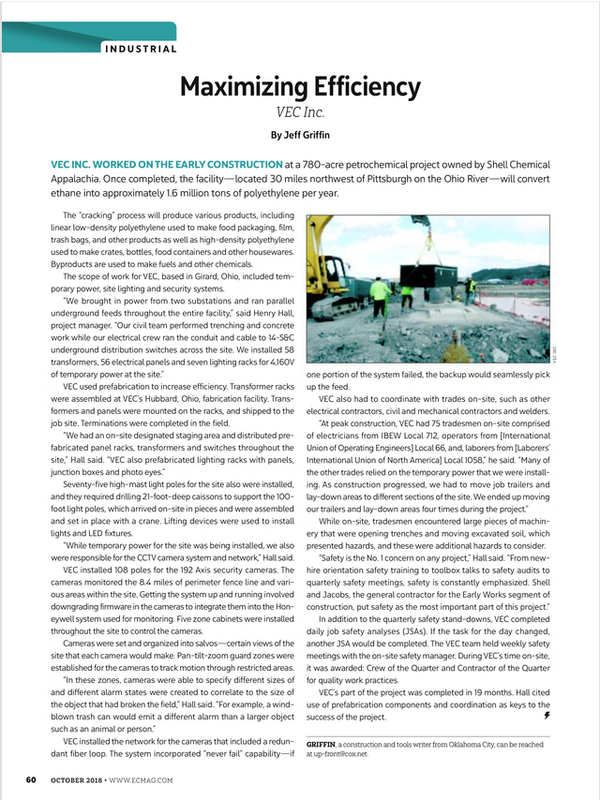 VEC Featured in Electrical Contractor Magazine — VEC, Inc.
VEC is featured in the recent issue of Electrical Contractor Magazine. The article discussed the Franklin Early Works project VEC completed last summer. Well done to all involved!